Conversational agents are becoming increasingly used for various tasks, domains, and settings (e.g., personal assistants, customer service agents, intelligent tutors, and more), driven by recent advances in artificial intelligence and natural language processing. One major interaction benefit of conversational interfaces is the ability to dynamically generate contents and adapt to individual users. However, such personified designs of conversational agents often lead to advanced user expectations regarding the system’s sensing and adaptive capabilities. Users expect such agents to not only satisfy their individual information needs, but to also behave in socially appropriate or favorable ways. Therefore, conversational agent systems present an extremely rich and challenging research space for addressing many aspects of user awareness and adaptation, such as user profiles, contexts, personalities, emotions, social dynamics, conversational styles, etc. Adaptive interfaces are a long-standing interest for the HCI community, which has often made extensive efforts to study users, and prototype, evaluate, and design adaptive actions of computing systems. However, these efforts are sometimes isolated from the challenges of developing the sensing capabilities of systems, and the opportunities of leveraging data-driven approaches and computational intelligence. Meanwhile, increasingly more advanced machine learning approaches are introduced in new generations of conversational agents, such as deep learning, reinforcement learning, and active learning. It is imperative to consider how various aspects of user-awareness should be handled by these new techniques and system components for language understanding, language generation, dialog management, and in settings of end-to-end conversation modeling. The goal of this workshop is to bring together researchers in HCI, user modeling, and the AI and NLP communities from both industry and academia, who are interested in advancing the state-of-the-art on the topic of user-aware conversational agents. Through a focused and open exchange of ideas and discussions, we will work to identify central research topics in user-aware conversational agents and develop a strong interdisciplinary foundation to address them. With its focus on the intersection of HCI and AI communities, we strongly believe IUI is an ideal venue in which to hold this workshop. This will be a half-day workshop including keynote speakers, papers, posters, and discussion sessions. Discussion sessions will focus on enumerating key challenges in user-aware conversational agents and developing an interdisciplinary research agenda. Based on the results of the workshop, we plan to organize a special journal issue of the ACM Transactions on Interactive Intelligent Systems (TIIS) on this topic. Dr. Maxine Eskenazi is Principal Systems Scientist in the Language Technologies Institute at Carnegie Mellon University. Her interests lie in dialog and intelligent agents, crowdsourcing, and data collection. She is the author of two books and numerous scientific papers and is on the editorial board of Computer Speech and Language. She is Head of the Dialog Research Center (DialRC) at Carnegie Mellon. David Traum is the Director for Natural Language Research at the Institute for Creative Technologies (ICT) and Research Professor in the Department of Computer Science at the University of Southern California (USC). He leads the Natural Language Dialogue Group at ICT. Traum’s research focuses on dialogue communication between human and artificial agents. He has engaged in theoretical, implementational, and empirical approaches to the problem, studying human-human natural language and multi-modal dialogue, as well as building a number of dialogue systems to communicate with human users. Traum has authored over 250 refereed technical articles. He is a founding editor of the journal Dialogue and Discourse, has chaired and served on many conference program committees, and is a past President of SIGDIAL, the international special interest group in discourse and dialogue. 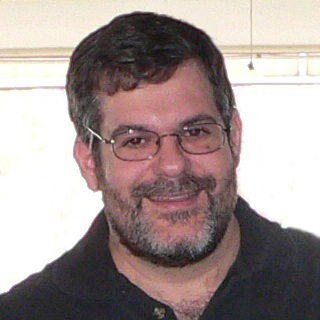 Traum earned his Ph.D. in computer science at the University of Rochester in 1994.
full papers (up to 10 pages), including work in progress, perspective papers, and lessons learned. They will be presented either as oral presentations or posters. position papers (up to 4 pages), which will be presented as posters with a possibility to be accompanied by a demo. All papers should follow ACM SIGCHI templates: https://sigchi.org/templates/, and submitted electronically as a single PDF file through the EasyChair submission system: https://easychair.org/conferences/?conf=user2agent. All submissions will undergo a peer-review process. Reviewers will consider originality, significance, technical soundness, clarity, and relevance to the workshop’s topics. The reviewing process will be double-blind.